When is a spouse legally responsible for estranged partner's debts? "I promise to be true to you in good times and in bad, in sickness and in health. I will love you and honour you all the days of my life.” We have all been there, listening carefully to a young couple nervously reciting those words that are set to bind them for the rest of their married life. 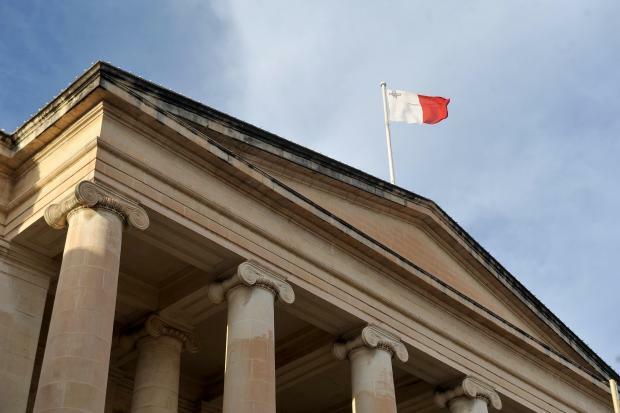 Rarely has the meaning of those words echoed louder than in the case of Mafimex Limited v Saviour Muscat et, decided by the Civil Court, First Hall on March 20. One of the defendants in this case owned a greengrocery, and he had fallen behind in payments due to one of his suppliers. A case was instituted both against him and his wife. The court immediately found against the husband, but gave the wife the opportunity to put forward her defence. His wife, co-defendant in the case, testified that at the time that the business was grounded, she was already separated de facto from her husband, and hence had absolutely nothing to do with the business. She insisted that the debt belonged to her husband, since it was he who managed the shop, and it was he who made the order from the plaintiff. Remarkably, her husband agreed. She further referred to Article 1324 of the Civil Code, and argued that normal acts of management of a trade, business or profession being exercised by one of the spouses, shall vest only in the spouse actually exercising such trade, business or profession even where those acts, had they not been made in relation to that trade, business or profession, would have constituted extraordinary administration. In its judgment, the court noticed that while the parties did lead separate lives prior to their subsequent formal separation, at the time the debt was incurred they had still been married, and therefore, the regime of community of acquests still applied to them. Simply put, the community of acquests is the common pot between the spouses; anything which is acquired by them during the marriage enters into a common fund – both the good and the bad; the abundance and the meagre. It further noted that as a result, their common fund as spouses was responsible towards third parties, even when the act leading to the debt was done by only one of the spouses, as long as it was a normal act of management of a trade, business or profession. The wife was therefore responsible to that extent of her share in the community of acquests for all debts incurred by her husband. Indeed, the law provides for such a mechanism in order to facilitate trade, as otherwise third parties would have to obtain both spouses’ consent, in every transaction, as small as it may be. This would not be practical. Indeed, the law seeks to devise a system that balances the rights of all the parties involved; on the one end, there is no need for a spouse to drag the other spouse into each and every act undertaken, and on the other end, the third party can enter into transactions with peace of mind, knowing that behind the spouse there is the community of acquests. Of course, this principle at law generates a number of difficulties, mostly for what can be considered as the weaker spouse in marriage, who often unknowingly becomes a co-debtor through the other spouse’s doing. This law places a lot of responsibility on the spouse not involved in the business, to oversee the use of the funds forming part of the community of acquests, and act if necessary. Indeed, a spouse can then move to request that the court orders the other spouse to be excluded from administering the community, either because he/she is not competent to administer it, or because he/she is guilty of mismanagement. Having seen the facts of the case, and after quoting various judgments, the court concluded that the fact that the wife was in no way involved in the business was of no use to her defence. Ultimately, she did know about the business, and knew that it was being operated while the community of acquests between her and her husband was still functioning. It was of little relevance that when they subsequently separated the husband had declared that he would shoulder the debt himself, since that contract was res inter alios acta, meaning that it could not legally adversely affect the rights of those not party to it. However, it was not all gloom and doom for the wife; the court did cautiously acknowledge that what the spouses agreed to in the contract of separation (that he would assume the debt) could give the wife the right of action against her husband, to recover what she would have to pay – a right commonly known as a dritt tar-rivalsa. The court then moved to order the wife to pay the debt due, but limited to her portion of the community of acquests between her and her husband. It reserved the right of the wife to seek redress against her husband. Carlos Bugeja is senior associate at Azzopardi, Borg & Abela Advocates.